"Perhaps all of our ideas are wrong?" Samuel Goldwyn has unveiled an official trailer for the film Finding Altamira, starring Antonio Banderas as Spanish archaeologist Marcelino. Back in 1879, Marcelino and his daughter Maria (played by Allegra Allen) discovered the now-famous cave called Altamira in northern Spain. The cave contains paintings of running bison that date back over 10,000 years. At the time, this discovery made him the target of the Catholic Church since no one could believe it was possible humans were alive back then. This isn't the same cave that Werner Herzog visits in Cave of Forgotten Dreams, but it's similar, and it's cool to see a feature film told around the initial discovery of one of these caves. The full cast includes Golshifteh Farahani, Rupert Everett, Pierre Niney, and Clement Sibony. Take a look. In 1879, Spanish archaeologist Marcelino (Banderas) and his daughter Maria (Allen) discover seemingly impossible paintings of galloping bison adorning the walls of a hidden cave in northern Spain. The cave of Altamira brings the world together in amazement, drawing people of all types to see the paintings in person. But, Marcelino soon realizes that the art on the walls must be 10,000 years old, earlier than anyone believes possible. The theory threatens to tear Maria and Marcelino’s family apart while the outside world’s astonishment soon turns to fury and fear… Finding Altamira is directed by filmmaker Hugh Hudson, of Chariots of Fire, Revolution, Lost Angels, My Life So Far, and I Dreamed of Africa previously. The screenplay is by Olivia Hetreed and José Luis López-Linares. 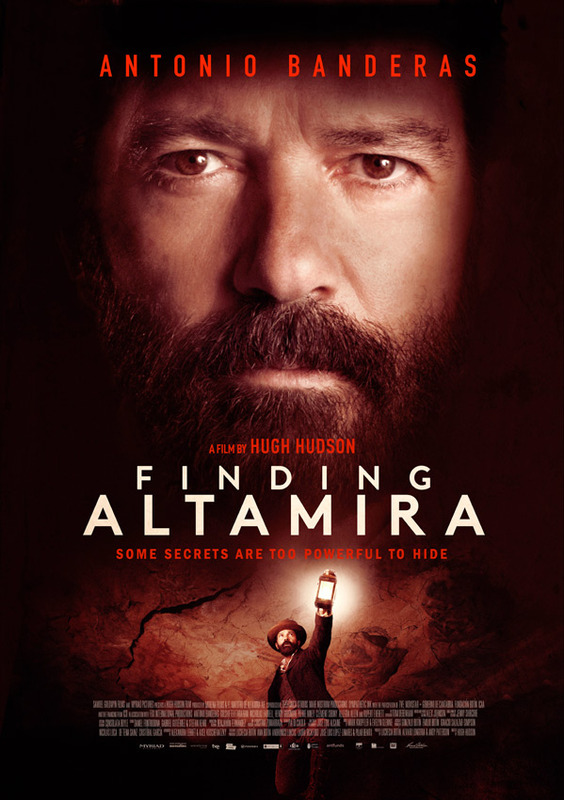 Samuel Goldwyn Films will release Finding Altamira in select theaters + on VOD starting September 16th this fall. Worth watching? A buddy of mine is staying in one of these caves in Spain right now. I told him it was sad, but he didn't get it. Places like these are special and should be protected. I'm guessing there's a few of them out there, and not all of them are protected nor do the locals have the resources to protect them... The one in Cave of Forgotten Dreams is completely closed off to the public. Good to know they are trying to protect some of them. That's what I thought as well. Apparently, the Government there allowed them to build a hotel in the caves. Some people still believe the world is only 6 thousand years old. I wonder how many great discoveries were destroyed by the ignorance of the church. 6000 years...Stupid thing! Everybody knows that the World was created when I was born. He's like Jesus, only with smaller hands and not so much hair. And not so much brain. 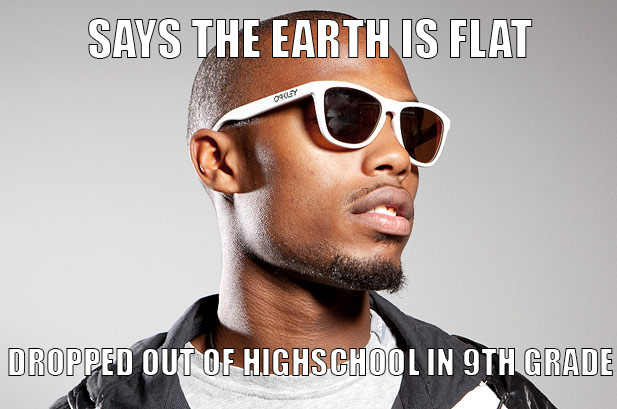 Speaking of which, who's the rapper that said that Earth was flat, again? He is called Rapper BoB. Neil Degrasse Tyson, had some fun words for him "Being five centuries regressed in your reasoning doesn’t mean we all can’t still like your music". THAT makes sense. Thanks for the clarification! The cave in "Forgotten Dreams" is Chauvet, which is in France, not Spain. It's paintings are also much older, dating back to about 30,000 years ago, instead of 10,000, making its paintings the oldest surviving in the world, today.